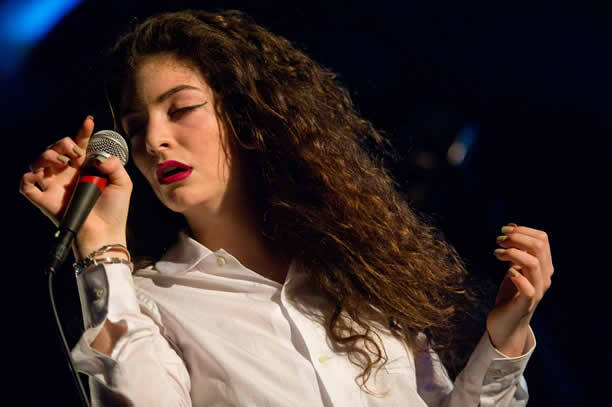 Following the success of her single ‘Royals’, Lorde’s first studio album Pure Heroine debuted at number three on the US Billboard 200 charts and went on to become one of the world’s best-selling albums of 2014. Lorde’s rise to international success was particularly impressive for a sixteen year old from Auckland whose journey to stardom began with winning the Belmont Intermediate School annual talent show in a duo with a classmate. Her debut showcased not just her musical talent but an intelligent and articulate exploration of youth and consumer culture in her lyrics. Her personal style and approach to live performance challenged contemporary pop trends. Commentators were impressed by the high level of creative control Lorde had over all aspects of her work - from the production of the album to the live shows and even merchandise, along with her impressive poise and integrity. Pure Heroine was nominated for Best Pop Vocal Album at the 56th annual Grammy Awards in January 2014, while the track ‘Royals’ was nominated for three other awards including Record of the Year. Lorde performed at the awards and took home Best Pop Solo Performance and Song of the Year with co-writer Joel Little. In 2017, Lorde’s second album Melodrama debuted at number one on the US Billboard 200 charts and was nominated for Album of the Year at the 2018 Grammy Awards. A departure in style from Pure Heroine, Melodrama received wide critical acclaim and proved Lorde was definitely not just a one hit wonder. We have 17 biographies, 7 articles, related to Lorde releases Pure Heroine in New Zealand and Australia.